Please note that this current website does not have a shopping cart. 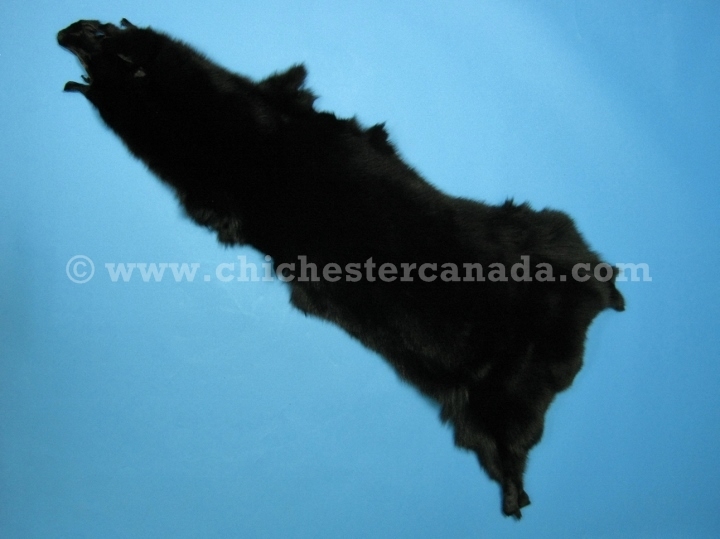 To buy our Black Fox Skins online, please go to our e-commerce website at NaturalExotics.ca. These are fashion-quality Finnish blue fox skins. They are dyed a nice, consistent, jet-black and have gorgeous lush fur. The skins are open, not cased (i.e., closed like a sausage), and may or may not have legs. Genus and species: Vulpes lagopus. Ranch. Blue fox are not endangered and are not subject to CITES controls.